A U.S. presidential delegation stood alongside the people of Colombia in Bolívar Square, Bogotá, on August 7 to mark the inauguration of Colombia’s new president, Iván Duque Márquez. 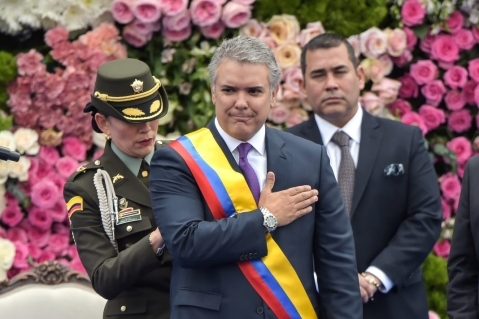 The election of Duque “seals the emergence of Colombia as a strong democratic partner for the United States in combating drug trafficking and promoting regional security,” U.S. Permanent Representative to the United Nations Nikki Haley wrote in the Miami Herald newspaper before traveling to Colombia to lead the U.S. delegation. 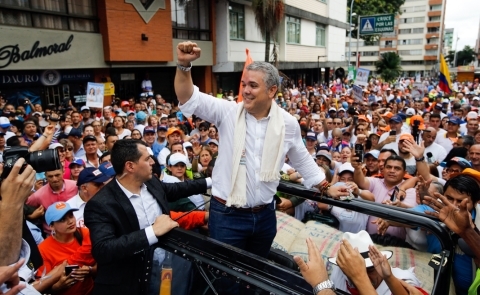 Duque’s election in June was Colombia’s first since the 2016 peace agreement between the government and the Revolutionary Armed Forces of Colombia ended five decades of war. “Colombia is increasingly embracing the freedom model,” Haley wrote, contrasting Colombia’s peaceful democratic election, respect for human rights and growing economy with neighboring authoritarian regimes. “The United States stands unequivocally with the people of Venezuela and Nicaragua against their corrupt governments. Colombia presents a model for their democratic aspirations,” she said in the editorial. “We look forward to working with the new government in Bogotá to ensure that the freedom model endures for all of the Americas,” Haley wrote.